South Port held its 2018 AGM on Thursday. South Port is reducing its carbon emissions in a bid to stay competitive as New Zealand moves towards a carbon neutral future. At it’s annual general meeting, held on Thursday, South Port chairman Rex Chapman said to shareholders the ports geographical position put it closer to other import sources and it could be leveraged in terms of reduced carbon emissions. Chapman believed the port would be in a good position as the country started to reduce its carbon emissions under the Paris Agreement. New Zealand has agreed to reduce its carbon emissions by 30 per cent below 2005 levels by 2030. The company had implemented a number of initiatives to reduce its carbon footprint like putting antifoul on the hull of tugboats and pilot vessels to reduce fuel use. More cargo was being transported by rail to the intermodal freight centre in Invercargill, instead of on trucks, leading to a reduction in carbon emissions, Chapman said. 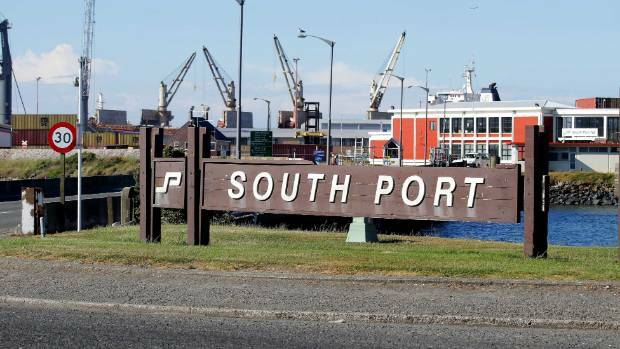 This year, South Port had an after-tax profit of $9.66 million, up from $8.45m in 2017. Cargo flows had increased from roughly 3 million tonnes to more than 3.4 million tonnes, a record level for the port. Bulk cargo continues to be the mainstay of the business, representing 85 per cent of cargo volumes coming through the port, Chapman said. This year, logs and woodchips exceeded the one million tonne mark for the first time in the port’s history and is the largest contributor to the volume and profit, he said. Because of the the drought during the summer, a record volume of stock feed was imported at 212,000 tonnes. The replacement of ageing infrastructure was expected to make an impact on future profit, as maintenance expenditure has been lifted and will continue to increase over the next five years, Chapman said. South Port chief executive Nigel Gear said it has been 58 years since Island Harbour was completed and several assets were nearing the end of their useful life. Estimates are that earnings in the next financial year will likely be 10 per cent lower than 2017/18. South Port is working with Mataura Valley Milk see whether it can provide the purpose-built nutrition plant to see if it can provide a distribution channel for importing an exporting cargoes. Another potential client was Plaman Global, who is looking to mine more than 30 million tonnes of a rare organic black diatomite near Middlemarch, Central Otago, Chapman said. The mineral would be used as a natural and organic animal feed additive that could reduce antibiotic usage, stimulate growth and improve both feed quality and gastrointestinal health in animals. Chapman noted that there was tension in the markets as a result of the tariff war between the United States and China. However, trade forecasts for the port remain steady with forestry exporters predicting healthy export market conditions in China, India and Japan. The board has said it plans to keep paying the current dividend of 26 cents. Fund managers say the Napier Port share sale could be a catalyst for a wider shake-up. 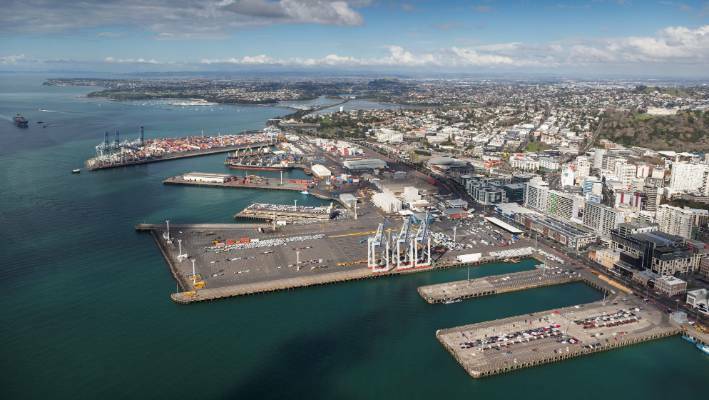 Hawke’s Bay Regional Council’s proposal to sell and list up to 45 per cent of the port on NZX was an “an interesting and surprising” development, said James Lindsay, senior portfolio manager at Nikko Asset Management. Listing the firm would help ensure it worked to achieve decent returns by looking after its New Zealand customers and suppliers. Subject to the pricing “we’d be fully supportive of them having something listed on market,” he said. The council is embarking on a six-week consultation process with its ratepayers and favours selling up to $181 million of shares in the business. That would leave it with a controlling stake in a growing business, sufficient cash to fund environmental projects it plans, and a more diversified investment base. Other options the council is seeking feedback on include the sale of a minority stake to a partner – which it thinks would raise less money – the sale of a long-term lease to an operator – which could raise the most money – or retaining the current structure and raising rates by 45 per cent to fund the port’s expansion. Craig Stent, head of equities at Harbour Asset Management, believes there would be good interest if the listing goes ahead. Port of Tauranga has delivered strong returns over many years and Napier would give investors an exposure to Hawke’s Bay’s agriculture and horticulture industries. New Zealand’s ports, previously run by elected harbour boards, were corporatised in 1988. The history of those that listed is mixed. In 2010 the New Zealand Institute of Economic Research found the major ports had delivered substantial returns since corporatisation. But it also said they had considerable scope to improve their performance and that council ownership had been an obstacle to rationalisation within the sector. Of the listed companies, Bluff-based Southport remains 66 per cent-owned by Southland Regional Council. Port of Tauranga, 54 per cent-owned by Bay of Plenty Regional Council, has expanded massively and now owns half of Northport and PrimePort Timaru and has inland container depots in Rolleston and Auckland. But Ports of Auckland was delisted in 2005. The regional council, having extracted any surplus capital from the firm during the preceding 12 years, bought out the minority holders citing diminishing returns and the need to rationalise the city’s waterfront. Talks on a possible merger with Tauranga ended in early 2007. The port, which has a stake in Northport’s parent company, also built inland freight hubs at Wiri, Mt Maunganui, Longburn and now Horotiu. Longburn is operated in partnership with Napier Port. In August, the government named a five-member panel to review the freight and logistics system in the upper North Island. 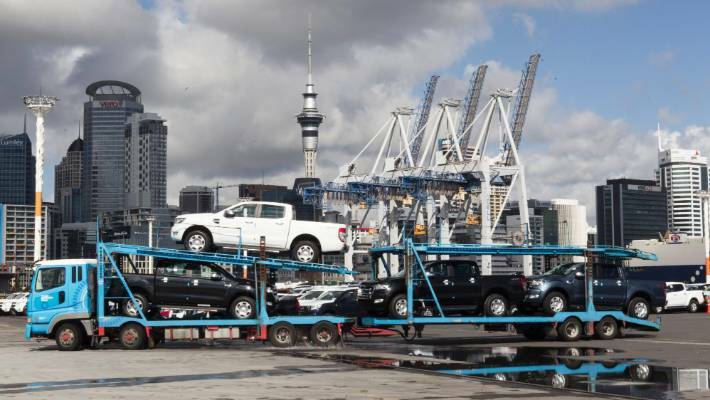 Its brief includes assessing the feasibility of relocating the Auckland port business to Northland long-term. 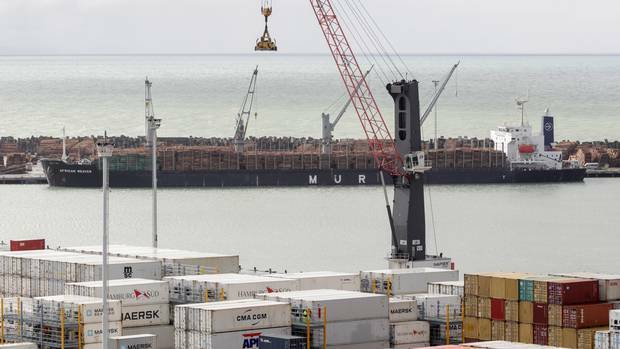 Lyttelton Port Company was delisted in 2014, eight years after Christchurch City Holdings had proposed such a move as part of a plan to appoint Hong Kong-based Hutchison Port Holdings – the world’s biggest operator – to run the business. That transaction withered after Port Otago bought a 10 percent blocking stake. Otago and Lyttelton investigated a merger in 2008 but that has not proceeded. Stent said it would be encouraging if other councils – such as Christchurch and Auckland – relooked at a sell-down for their ports. Both cities have needs for capital elsewhere and could still retain a majority interest. 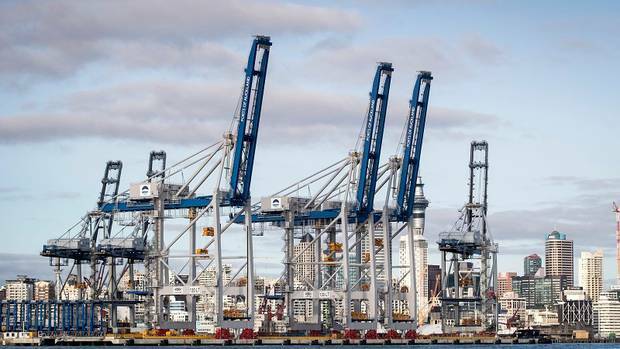 Mark Lister, head of private wealth research at Craigs Investment Partners, said the whole sector would benefit if more ports were subject to the investor scrutiny that comes with listing. While he welcomed Napier Port’s potential listing, Nikko’s Lindsay believed there was still too much duplication in the sector. Running them each as separate businesses, each spending time and money investigating and new technologies like automation, was not efficient for the country. An option that would encourage that was the operating lease model that Lyttelton and Napier had investigated and which has proven successful in Australia and other parts of the world. Lindsay said that would leave councils full ownership of the port land and assets, and the operating company could get on and drive efficiencies. Having a single operating company for multiple ports would encourage greater optimisation across the country and further reduce costs. Hawke’s Bay regional councillors initially favoured a 50-year lease of the Napier Port operation, which it estimates could raise $466m – leaving the council $366m to reinvest. Listing is expected to raise $181m and leave the council with $83m for reinvestment. But the council was conscious that most of the interest in an operating lease would be from overseas players. Nor was it confident about committing the region to a 50-year partnership and what it would take to maintain that relationship. The option remains among four the council is consulting on. “There’s huge value being lost in New Zealand Inc. for that model not being instigated,” Lindsay said.